The purchase of a new horse is not something to be taken lightly. It often entails a large initial financial investment, followed by ongoing monetary outlays for equipment, board, veterinary expenses, plus equally substantial investments of time and emotion. 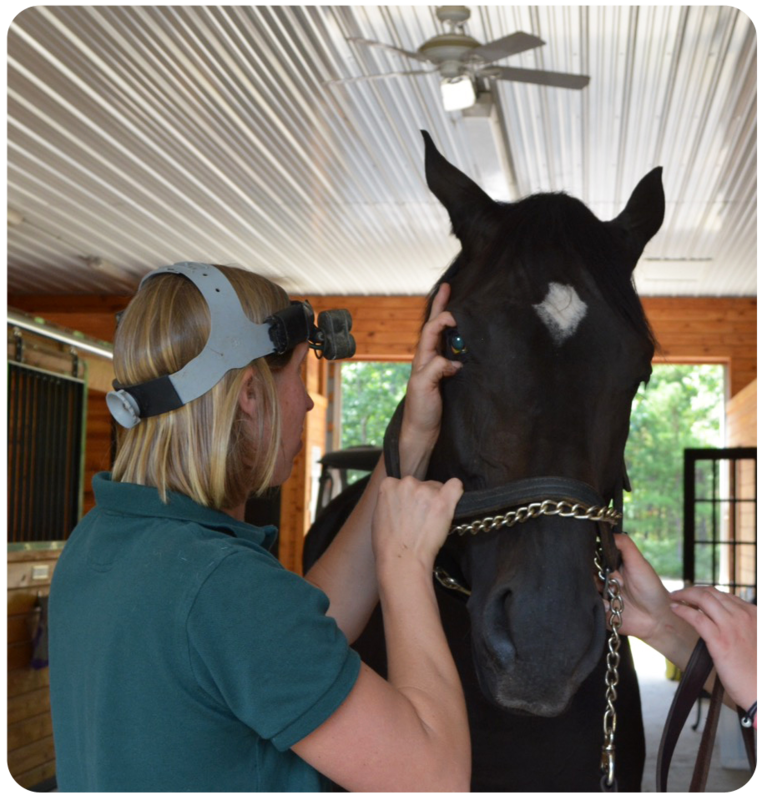 A pre-purchase examination conducted by a qualified equine veterinarian should be considered before a final decision is made. A thorough examination takes into account the age and type of horse, as well as its intended use. The examination should be conducted by your regular veterinarian or the doctor whom you plan to use as your regular veterinarian. In order to avoid a conflict of interest, the examiner should not be the seller’s veterinarian. If at all possible, both buyer and seller (or their representatives) should be present at the examination. It is helpful for a record of vaccinations, deworming and Coggins testing to be available. Generally, a thorough examination takes approximately 60-90 minutes. The physical and soundness examinations are usually followed by ancillary diagnostic tests that may include, but are not limited to, radiography (x-rays), endoscopy (scoping), blood work and drug screens. Always keep in mind that the information gained from a pre-purchase examination is an opinion based on findings made at the moment of the examination. Although the pre-purchase examination is conducted by someone with the education and experience to give you information, much of the information is not clear-cut. The information you get from a pre-purchase examination is among the best available, but realize that it is not meant as a guarantee or prediction of future health of any sort. Once all the information is gathered, the veterinarian and the purchaser should privately discuss the veterinarian’s findings. If the purchaser consents, the veterinarian’s findings may, at a later time, be discussed with the seller. People often want their veterinarian to “pass” or “fail” the horse. However, in most cases, this is not feasible. The only time such clear-cut decisions can be made is when the horse either has no or minimal problems, or such blatant problems that the answer is immediately evident. More commonly, there are a number of problems found. Each problem and its prognosis in respect to the intended use of the horse should be considered both individually and as part of the total picture. Once you understand the problems and how they might affect the future performance of the horse, you must make the decision of whether or not to purchase the horse. The veterinarian cannot make this decision for you. Usually further diagnostic tests are recommended to help define the cause of any abnormalities. The clinical part of the exam includes examination of the head, neck, heart, lungs, guts, limbs, feet, back, barrel, and abdomen. A neurological examination is conducted, followed by a movement examination. The movement examination consists of watching the horse go in hand, on the longue line, and possibly ridden. Flexion tests are conducted to check for potential joint problems. Once all of the above information is gathered, further diagnostic work is discussed based on the findings. As a matter of routine we do recommend that radiographs of the hocks and front feet be taken in a complete pre-purchase examination. When all the information from the physical examination and any other diagnostic tests that may have been conducted is collected, the complete picture is examined. Considering the overall findings, we describe any abnormalities and the prognosis with respect to the horse’s age, breed, and intended use. The purchaser then uses this information to decide whether they would like to purchase the horse, whether the horse is worth the amount being asked or whether the horse is suited for their purpose. Finally, you should always keep in mind that the information gained from a pre-purchase examination is not a guarantee of any sort. The purpose of the pre-purchase examination is to help you in the decision making process.